Wayscape is a mobile AR storytelling experience akin to PokemonGO, but rather than catching Pokemon you are walking through central park and experiencing an audio story with small puzzles. The user will move through different documents (articles, court papers, testimonials, maybe even a play based on the event) to learn more and "solve" the puzzles. The narrative allows you to retrace the steps of the greatest mystery of 1930's New York: one night in Central Park were a number of unexplained events took place, all close together, all within roughly thirty minute of each other. Wayscape has been in development for quite a while and been though many iterations. 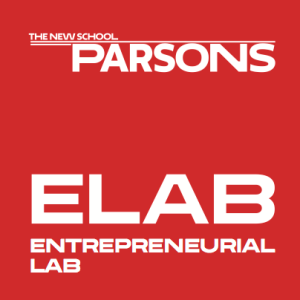 The core team, Niki Selken, Alan Holt, Pat Mooney, and Dylan Shad have been developing the platform with the support of NY Media Center and Parsons Elab. In the fall of 2016 I joined the incubator at Gray Area Foundation for the Arts in San Francisco after moving to the bay. In order to accommodate my new location and city I am creating companion narrative that takes place within the city of San Francisco's Mission District to show at the February 2017 Gray Area Final Showcase. Something that we learned during our prototyping process was that we wanted to use Unity and iOS native app rather than making a web app. This is for a few reasons, most prominently though, was mapping capabilities and responsiveness on the native app versus the web app. I am presenting prototypes from the latest round of app design for the Unity app. Below are my VERY rough maps and wireframes of the project. I will be updating this project page as the design process continues!